Ski Armadillo, a luxury chalet company based in the chic ski resort of Verbier, Switzerland, is offering all guests travelling from Asia a free full day’s skiing with an instructor or mountain guide or a thrilling helicopter ride over the Swiss, French and Italian Alps before landing on a private glacier, where a snow carved table, waiters and a gourmet meal awaits. This exclusive offer is available for groups booking a whole chalet in January or March 2015 with Ski Armadillo. With 16 high-end chalets to choose from, varying in size and sleeping between 4-16 people, this is a fantastic opportunity. “We have seen an increase in skiers from Asia and local businesses are investing in this market. Combined with this, our high end chalets offer a great all round skiing, service and dining experience for the snowsports enthusiast,” says Mark Bush, Managing Director, Ski Armadillo. 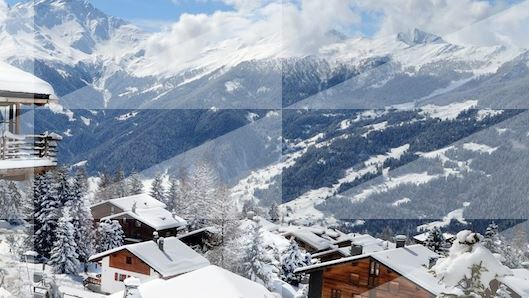 Verbier, an hour’s drive from popular Geneva, sees celebrities flock throughout the season as it is renowned for high-end glamour and fine cuisine. Part of the 4 valleys, with 412km of expertly groomed pistes, this resort offers skiing for all abilities from beginners to backcountry skiers seeking powder. Book a whole chalet in January or March 2015 and enjoy either our Glacier picnics or Inspirational Instruction packages, exclusive for guests booking from Asia. Call +852 6499 9287 or email hongkong@skiarmadillo.com for more information. From Hong Kong, fly direct to Zurich and it is a two-hour transfer to resort, which Ski Armadillo can arrange. Alternatively fly to Geneva, with one stop en route and it is only a short hour drive. Visit Ski Armadillo: http://www.skiarmadilloverbier.com/page/hong-kong for full information.